CB baby red foot tortoises. Parents were legally imported to Canada in the 1970s. Rambunctious, ravenous and growing like weeds! $400 each. 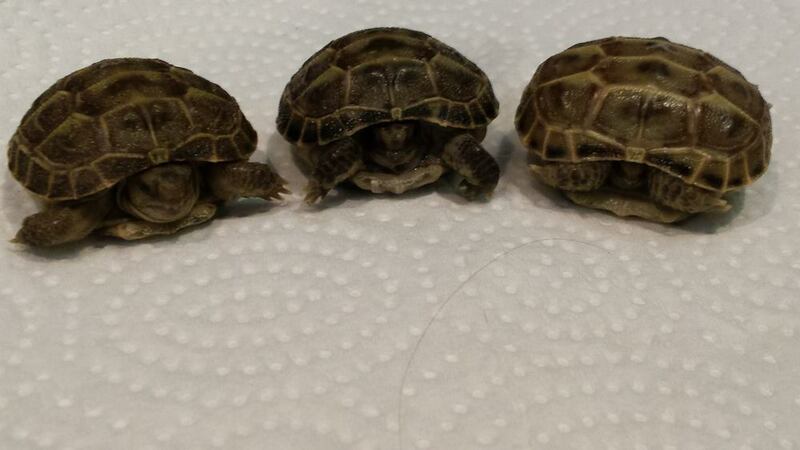 We also have CB baby cherry head tortoises. $475 each. 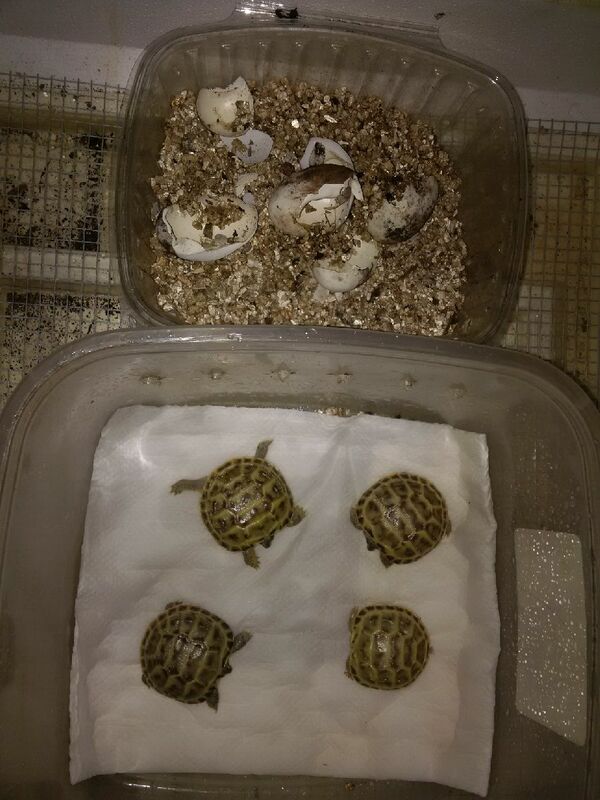 CB baby leopard tortoises. We have lots of very blonde leopard tortoises hatching daily! The parents (especially the dad) are huge and very light! These are available in a wide variety of colours and patterns….high white, high yellow, high black, lots of spots, few spots, no spots, etc. We also have a variety of sizes and ages. Please see our Facebook page for recent pics and videos. $500 - $1000 each. 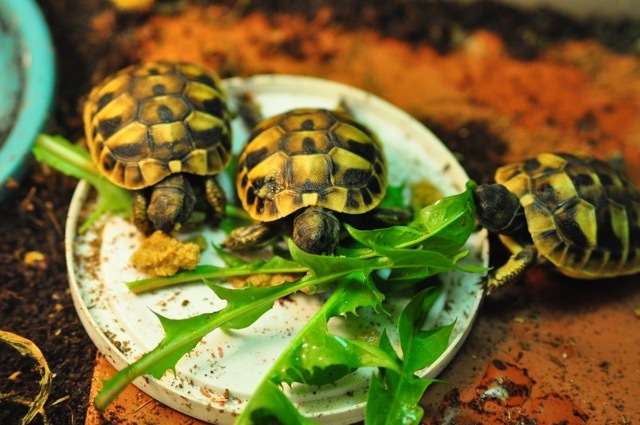 CB baby Russian tortoises. Our baby Russian tortoises are like little tanks! $475 each. CB 8 month old pancake tortoise. This little girl hatched in July and is growing like a weed! Pancakes are a very unique species that stay relatively small. Our babies are the only captive bred pancakes that we know of in Canada! 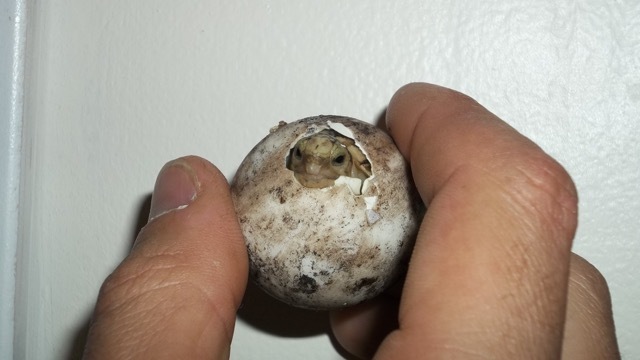 This beautiful pancake tortoise hatched on April 1st 2018 and was incubated to be a male. He's very outgoing and eats like a champ! This baby may be the only one available for a while. Due to a power outage, we may have lost his 3 siblings which were due to hatch at the same time. Pancake tortoises were recently listed by the Turtle Conservancy as being one of the most endangered species in the world. We're proud to be one of the very few breeders in Canada. $1400 each. CB baby Eastern Hermann's tortoises. This hardy Mediterranean species is very similar in size and care requirements to Russian tortoises. $475 each. Beautiful Pair of Burmese Brown Mountain Tortoises! 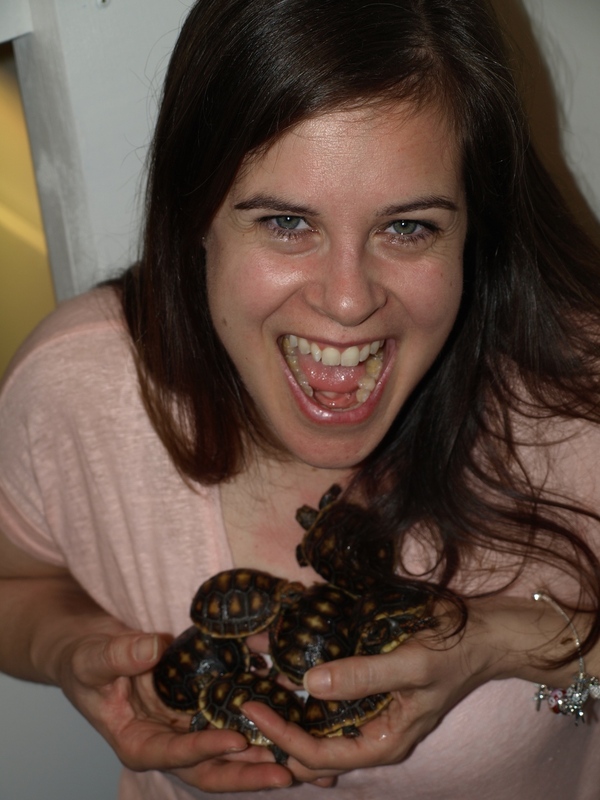 Very outgoing and inquisitive, these amazing torts have been raised and pampered from babies. This pair mates on a daily basis but is still to young to reproduce. We currently have lots of eggs incubating....spider, radiated, leopard, red foot, cherry head, pancake, Russian, Hermann's, Bell's hinge-back, Burmese star and Indian star! We ensure that all our babies are eating well and gaining weight nicely before going to their new homes. 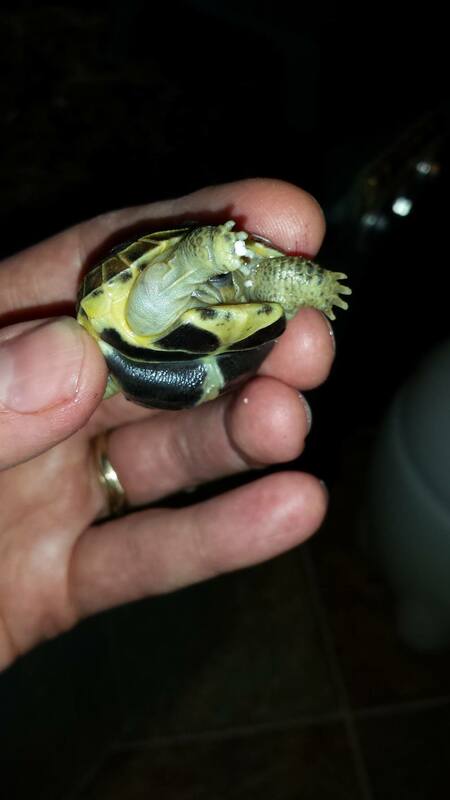 We recently hatched out our second clutch baby Bell's hinge-back tortoises! Price to be determined. If you're interested in a particular species, please contact us to be added to our waiting lists. All our breeding tortoises have been pampered by us for many years and provided with the best care possible. This includes species specific diet, UV lighting, proper humidity, exposure to natural sunlight and free grazing outdoors during summer months. Most of our parent torts were raised by us from tiny babies. Please feel free to contact us if you'd like any more information.